As water utility officials in Marana and Tucson combat elevated chemical levels in the wells servicing their residential and commercial areas, the two municipalities have jointly filed a lawsuit against the five companies they deem responsible. The lawsuit seeks to collect reparations for the cost of “treating and removing contamination from public drinking water supply wells,” according to a press release. The Nov. 7 complaint was filed against 3M, Buckeye Fire Equipment, Chemguard, Inc., Tyco Fire Products L.P. and National Foam, Inc, companies that produced and sold aqueous film-forming foam (AFFF), a firefighting product containing the chemicals PFOA and PFOS. Although these chemicals are present in everyday products such as non-stick pans, the lawsuit singles out AFFF because Davis-Monthan Air Force Base has used the product for decades. That activity is believed to have contaminated three wells just north of the base, and seven in Marana’s residential areas. Officials have shut down these wells to treat existing water systems or establish new ones. The marketable qualities of PFOA and PFOS are also what make it hazardous; these chemicals are resistant not only to heat, water and stains but also to normal environmental degradation, which means they can accumulate in the soil, plants and air overtime to levels dangerous to humans and wildlife. The American Conference of Governmental Industrial Hygienists (ACGIH) stated the chemicals are a “confirmed animal carcinogen with unknown relevance to humans.” In addition, the EPA found there is “suggestive evidence” that PFOA and PFOS are cancerous to human bodies and can cause a variety of health complications. 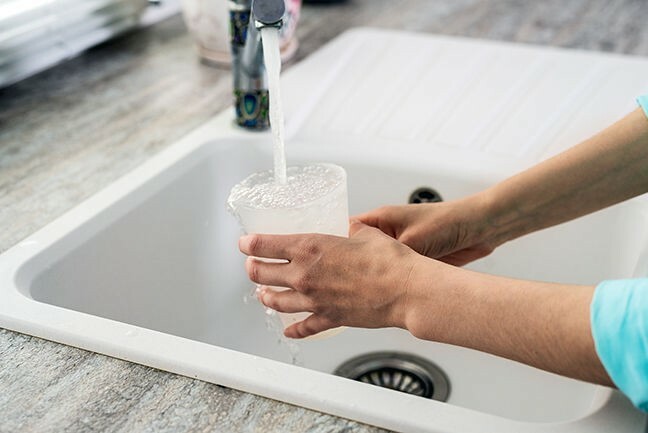 There is currently no federal regulation on the amount of these chemicals in drinking water, but the EPA recommends the chemical levels should not exceed 70 parts per trillion. When sampled in March, two of the three Tucson wells showed elevated PFOA and PFOS levels of 97 and 2,950 parts per trillion. Marana received sample results in January ranging from 68 to 101 parts per trillion. Tucson Local Media previously reported that six out of the seven Marana wells comprise two water systems, serving a number of residential areas including Saguaro Bloom, Continental Reserve, Happy Acres, La Puerta del Norte, Milligan’s Acres, Ironwood Reserve and Sunset Ranch Estates, as well as households not within a subdivision. The other well is not on a water system, and only serves one user. There were 2,700 households affected, making up 35 percent of Marana Water users. In September, the Marana Town Council approved the construction of two new treatment facilities for its affected water systems, and hopes the lawsuit will reimburse the town. These projects could cost around $12 to 15 million. The mayor and council were not immediately available for comment regarding the lawsuit. In 2006, nine major US companies that manufacture products containing PFOA agreed to phase out their usage by 2015, according to the EPA. However, the agency acknowledged that PFOA and PFOS are still an existing risk to consumers because other companies continue to use it in their products and foreign countries use the chemicals in some goods imported to the U.S.
Kozachik said he was very confident that Tucson and Marana will win this lawsuit. Representatives from 3M were not immediately available for comment.